No doubt about it: The Federal Reserve's record low interest rates over the last few years have led some investors to take on riskier investments in search of higher returns. This is part of the reason why stocks keep reaching record highs, demand for corporate bonds is rising, and volatility in the financial markets is low. 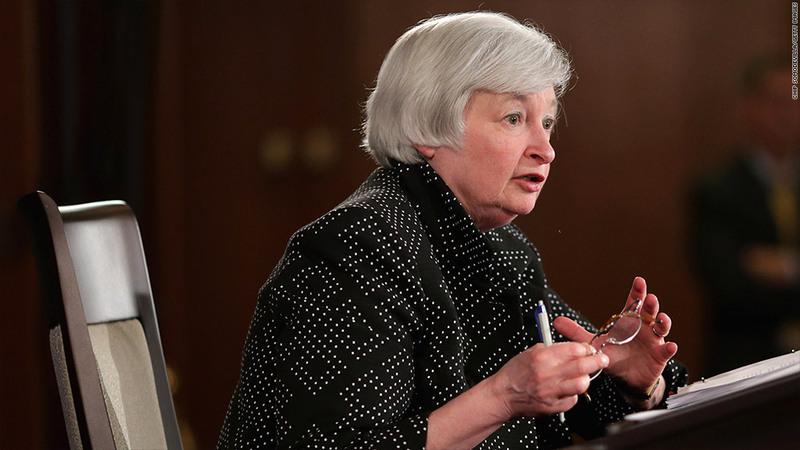 Even so, Federal Reserve Chair Janet Yellen says she's not about to have the Fed raise interest rates merely to burst bubbles. Rather, whenever the Fed decides to raise rates, it will be because the central bank has achieved its other two primary goals: a healthy U.S. job market and stable prices, with inflation rising around 2% a year. 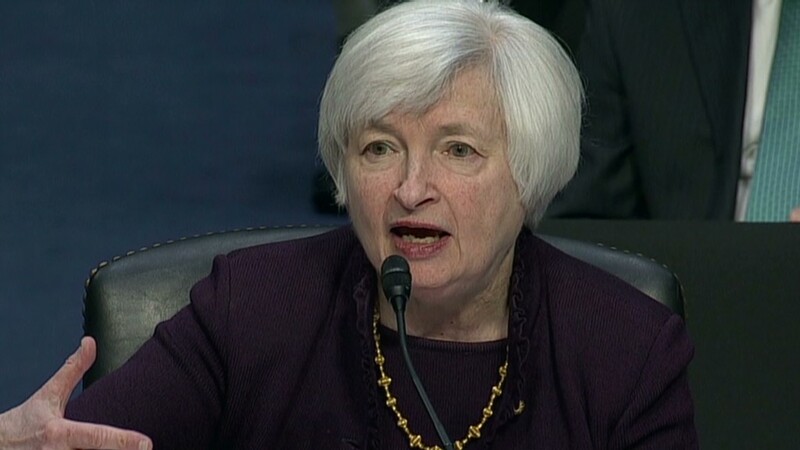 "I do not presently see a need for monetary policy to deviate from a primary focus on attaining prices stability and maximize employment, in order to address financial stability concerns," Yellen said in a lecture at the International Monetary Fund in Washington, D.C. Wednesday. Yellen acknowledged she sees "pockets of increased risk-taking across the financial system," but said it's up to financial regulation -- not interest rates -- to nurture a resilient financial system. She points to the recent housing crisis as an example. Fed critics often like to argue that the central bank could have prevented the housing boom and bust, if only it had raised interest rates more quickly in the mid 2000s. But Yellen disagrees with that argument. A higher federal funds rate translates into higher mortgage rates and could have limited the rise in home prices in the mid 2000s, but even so, that would have been a "very blunt tool," Yellen said. If the Fed had raised rates more quickly back then, unemployment would have risen rapidly and higher interest rates "would have directly weakened households' ability to repay previous debts," she said. Rather, what the economy needed instead was better government oversight of large banks, insurance companies and other financial companies, as well as more transparency of exotic financial securities. Current examples include stress testing the largest banks in the country and requiring banks to hold a larger cushion of cash on the sidelines for emergencies. As opposed to raising interest rates, these are the primary tools that should be used for reducing financial instability, Yellen said. Finally, as long as regulators can succeed in creating a more "resilient" financial system, she doesn't believe regulators need to be focused on identifying so-called bubbles. "Because a resilient financial system can withstand unexpected developments, identification of bubbles is less critical," she said. Following her speech, Yellen clarified one point in a Q&A session with IMF Managing Director Christine Lagarde. Yellen said that while she doesn't think raising rates should be the main line of defense against financial instability, she doesn't rule it out completely in extreme circumstances. "I've not taken monetary policy totally off the table as a measure to be used when financial excesses are happening," she said.